Despite AMADEE-18 having taken place more than half a year ago already, there are still a lot of ongoing post-mission activities, in particular scientific analysis. In this blog, the team from the Planetary Exploration Instrumentation Lab (PIL) at York University in Toronto, Canada, explains how they are analyzing soil samples collected in the desert of Oman and how these help them design new scientific instruments. Some of the AMADEE-18 samples made their way to Toronto, Canada, where they will be analyzed with both standard laboratory techniques and brand new, concept instruments. There is still work to do after the AMADEE-18 Mission. Kristen Cote is part of the team at the Planetary Exploration Instrumentation Lab (PIL) at York University in Toronto, Canada which is one of many laboratories whom are analyzing the samples retrieved from this year’s mission. Over 20 samples were retrieved by the analog astronauts from the Omani desert, and 16 of these samples arrived in Toronto shortly after. 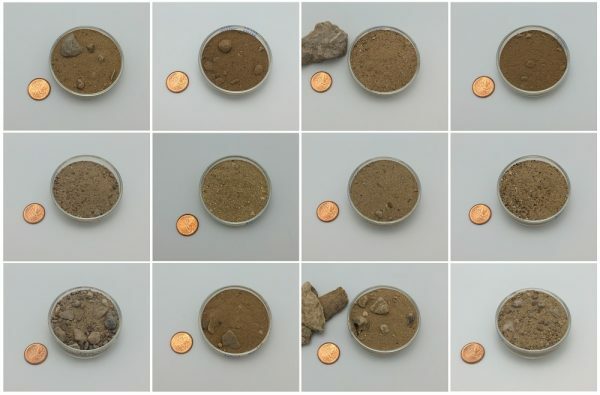 These sand and rock samples are being analyzed by both standard and prototype analytical techniques and instruments, including laser-induced breakdown spectroscopy (LIBS), Raman spectroscopy, laser-induced natural fluorescence, electron dispersive spectroscopy, x-ray diffraction, among others. LIBS is a relatively new technique for elemental identification in planetary exploration systems. It has steadily increased in popularity since the overwhelming success of the first LIBS instrument in space: an instrument called ChemCam on the Mars Curiosity rover. LIBS is useful for exploration of planetary bodies like Mars because it is not very complicated instrument-wise (making a relatively compact and lightweight instrument). It can also determine elemental concentrations quickly from a stand-off distance (up to 10 m in the case of ChemCam). Kristen analyzed the AMADEE-18 samples using this technique, and uLIBS, a variant on standard LIBS technique which uses laser with very small energy pulses. Both the LIBS and uLIBS instruments were built at PIL. Kristen’s Master studies at PIL were focused on much of the latter. Dylan Hickson is a PhD student in PIL investigating dielectric properties of materials for improving the information we can obtain from radar measurement of asteroids and other planetary bodies. For the AMADEE-18 mission Dylan has been working closely with the ScanMars team (from the National Institute for Astrophysics (INAF) and the University of Perugia), measuring the dielectric permittivity of many of the sand samples. This will ground-truth the results taken from the ScanMars team in the desert. Dylan also performed some standard analysis on the samples using commercial laboratory instruments. Lastly, Dr. Emmanuel Lalla is using AMADEE-18 samples (including a combined Raman-fluorescence-LIBS system that could one day go to Mars) to test some concept instruments in PIL. Raman spectroscopy, fluorescence spectroscopy, and LIBS can be combined into one instrument that is capable of obtaining detailed information about the elemental composition, structure, and geochemical information of different outcrops to aid in the search for past or present life on Mars. The results obtained from AMADEE-18 will enforce the capabilities of this combined instrument. Also, the measurements obtained from this system will be combined with other similar space instruments like MIMOS-2 and the ExoMars RLS system. The group also performed standard laboratory analysis on the samples like Raman Spectroscopy, X-Ray diffraction and Laser induced fluorescence spectroscopy to complement all the results from the mission. 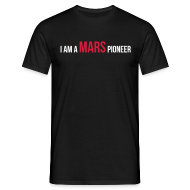 All of these results will aid in the development of new instruments for planetary exploration.